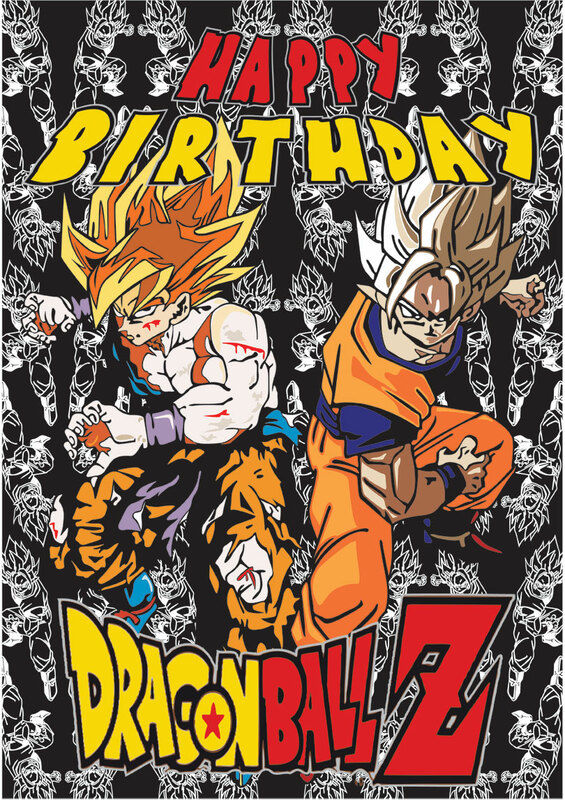 A stunning Dragon Ball Z birthday card for you to print and give to a Dragon Ball Z fan. Insert a personal message or use a quote from the TV show series and then print your birthday card! Here’s a power blast to you! 2. Message: cute - Hey there buddy, Son Goku and his team of Super Saiyans are looking for new recruits! Are you up for the challenge? Happy Birthday! 3. Wish: inspirational - I’m wishing you a very action-packed, power-blasting birthday! I don’t have all seven Dragon Balls, but make a wish and I’ll make it come true just for you. Happy birthday, buddy. 4. Message: cute - My Geiger counter is telling me that there’s a Dragon Ball nearby, could it be somewhere inside one of your gifts? Your cake maybe? Oh, well, that’ll have to wait, i just want some ice cream! Happy birthday! 5. Wish: inspirational - May your birthday bring you loads of fun and adventure. Just remember, I’ll be beside you all the way. Happy birthday superhero! 6. Message funny - My wish for your birthday that you would become a Super Saiyan so that you can defeat the world. May all your dreams would come true. KAAAAAA MEEEEEE OOOOOOOOOO!! !